Do you love the look of a vintage green chalkboard? Well, look no further. 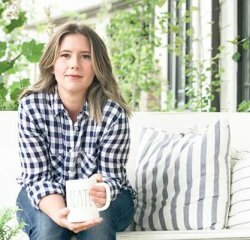 Make one at home and add that fixer upper look to your home. I love, love vintage green chalkboards. I love building things on my own. 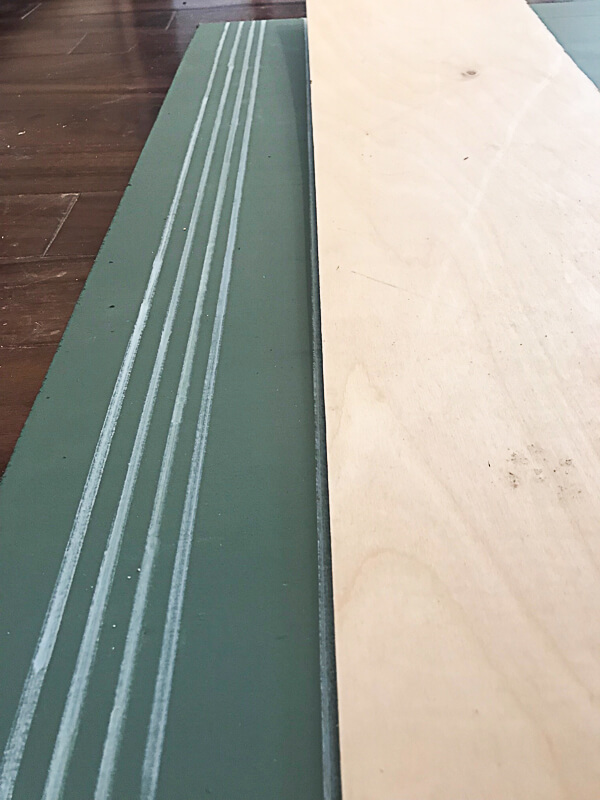 So, why not build my own framed vintage green chalkboard complete with lines! 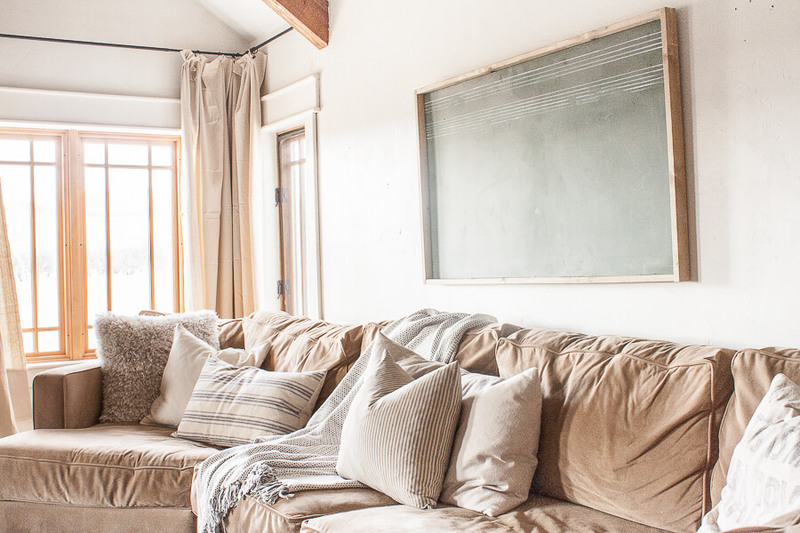 A few months ago, we spent a little bit of time updating and refreshing our upstairs family room. There was one thing that I knew, this room needed a vintage green chalkboard. 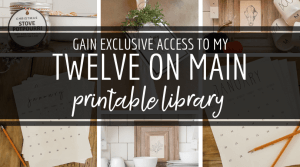 And would you believe it…I had everything I needed to make one! The first thing you want to do is to choose what size you want. 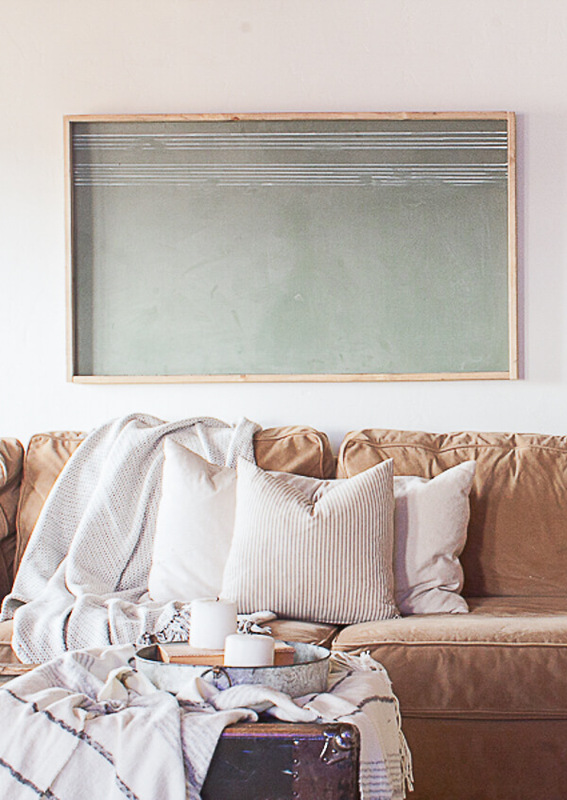 I knew I wanted a large green chalkboard to hang over our large sectional in our family room. I always have plywood in my garage since I use it when I paint some of my artwork. So, I chose to use some 2/3 inch thick plywood. Now, I also always have chalkboard paint in my house too. I have the Rustoleum black and green chalkboard paint, and they work great. I actually used their green chalkboard paint in my breezeway/mudroom. However, for this project, I wanted to experiment a bit. I wanted to create my own chalkboard paint. And you know what? It totally worked! Make your own green chalkboard paint! ***Want to see how to make your own chalkboard paint in any color? Check out this video! I have a large stash of craft toll paints in my art room. 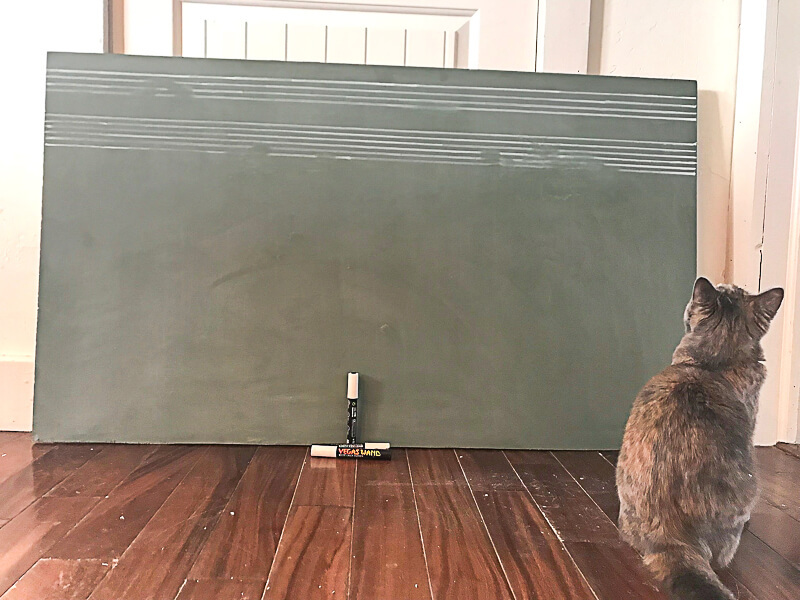 I wanted to see if I could create a more muted green chalkboard paint that would work better with my room. 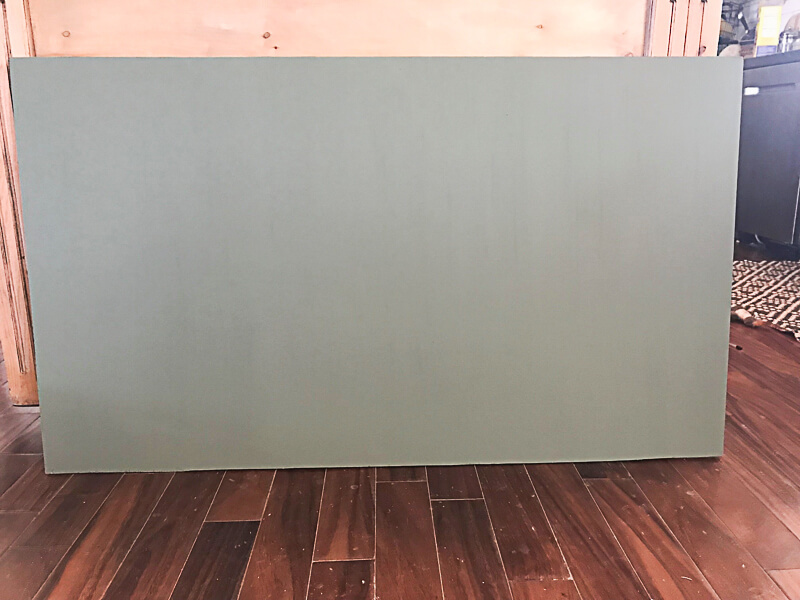 I mixed a few different green paints together, and then added a bit of gray to create a more muted green chalkboard color. Once I got the color I needed, I made sure I had enough paint, approximately 1 cup of paint was enough. I then added 2 tbsp of non-sanded tile grout to the paint. Now, I have grout sitting around in my garage because of our bathroom remodel and laundry room remodel. 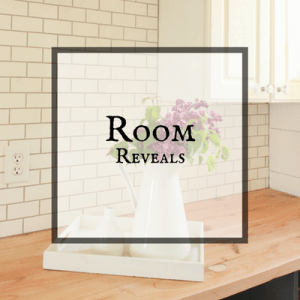 If you do not have and grout, you can ask a friend, or just buy your own chalkboard paint. It does not have to be homemade. 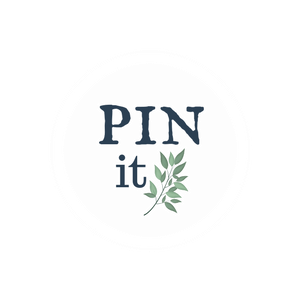 You can also find plenty of ready to use green hued chalkboard paints on Amazon. Once the paint was all mixed up, I started to paint the plywood with the green chalkboard paint. You should paint one coat, let that dry and then paint another coat. Once it is dry, you want to let the paint cure. They recommend for 24 hours. I have used mine sooner. The only thing you will find is a bit of ghosting on the chalkboard. Once the green chalkboard is dry and cured, you want to season it. Seasoning is done by rubbing a piece of chalk on its side along the surface of the chalkboard. Then take a towel or paper towel and rub the chalk into the chalkboard. You want to rub off the excess chalk and clean the chalkboard. After that is done, I added some white lines to the top of the chalkboard, to add some more of that vintage style to it. First, lets talk about miss Faliesha, our cat. She cannot leave me alone when I am working on a project. I took a straight edge (well, mine was a piece of 1/4 inch plywood, but hey it works!) So, I took my straight edge and my chalkboard marker. The key to getting this to look right is to allow the marker to not have alot of the white fluid dispensed into the marker. Line up the straight edge and draw a line from end to end. Now repeat 2 or 3 times spacing them about 1 1/2 inches apart. I then left larger space, about 2-3 inches and then repeated this action of drawing a few lines. I actually likes it if the chalkboard marker did not draw a full line. It looked better when it was allowed to have a but of an unfinished edge to it. You will notice that they are not perfect and that is okay! 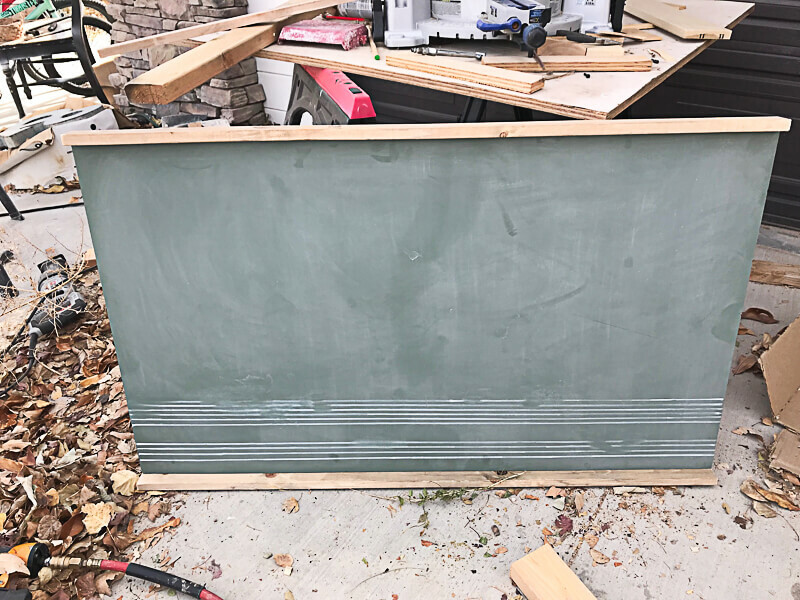 I then took a damp paper towel and rubbed some of the white chalkboard marker off in a few spots, just to add to the distressed and vintage look of the green chalkboard. Once that was done, I wanted to add a frame. The type of frame that I installed is one of my absolute favorites, and its so easy. I took 1 by 1 1/2 inch trim. I cut two pieces the length of the top and bottom of the chalkboard. 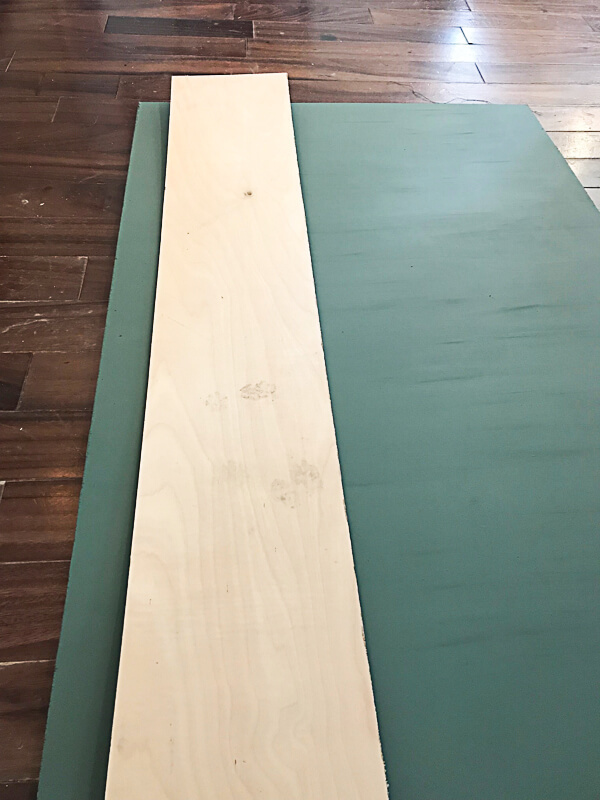 I then ran a small bead of wood glue along the edge of the chalkboard, placed the piece of wood trim onto the top of the wood glue and nailed it into place with my brad nailer. The brad nailer is not necessary, but man is it so convenient! 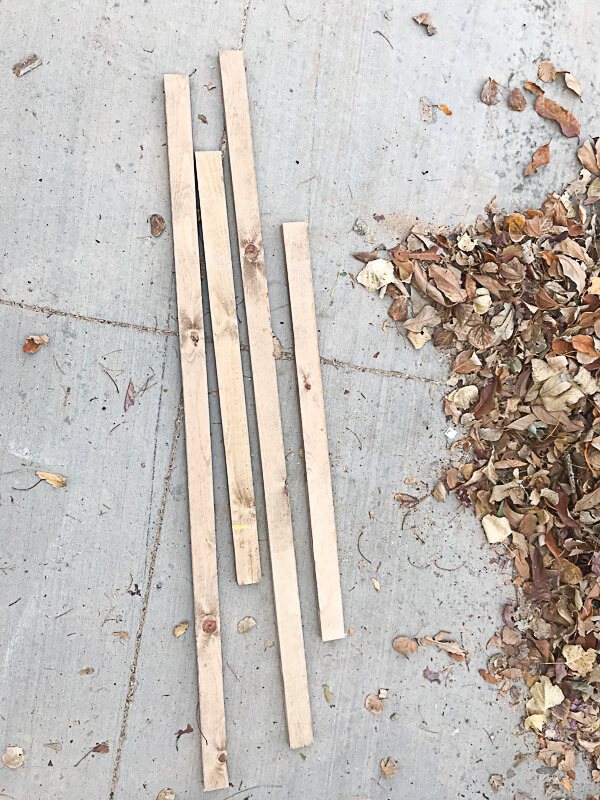 Once the top and bottom were nailed into place, I measured and cut the sides. You want to wait until after the top and bottom are in place to do this since they sides will overlap the top and bottom trim. Once you have them cut, glue and nail them to the sides. Adding wire to hang the green chalkboard is so easy. If you get a hold of some picture wire and a few screws, you can simply add hanging hardware. About 1/4 of the way down the back of the chalkboard, you can screw two small screws or eye hooks about 2 inches from the edges. Once they are screwed in, you can wrap the picture wire around and through the eye hooks, or around the screws. Once you wrap it around the screws you can tighten the screw a bit and the wire will be tightened and secured. Now its time to hang that baby in your home and sit back and admire it! You can definitely allow it to be an art center for your kids or a place to draw some cute saying, but I like it just as is. It definitely has that fixer upper look! 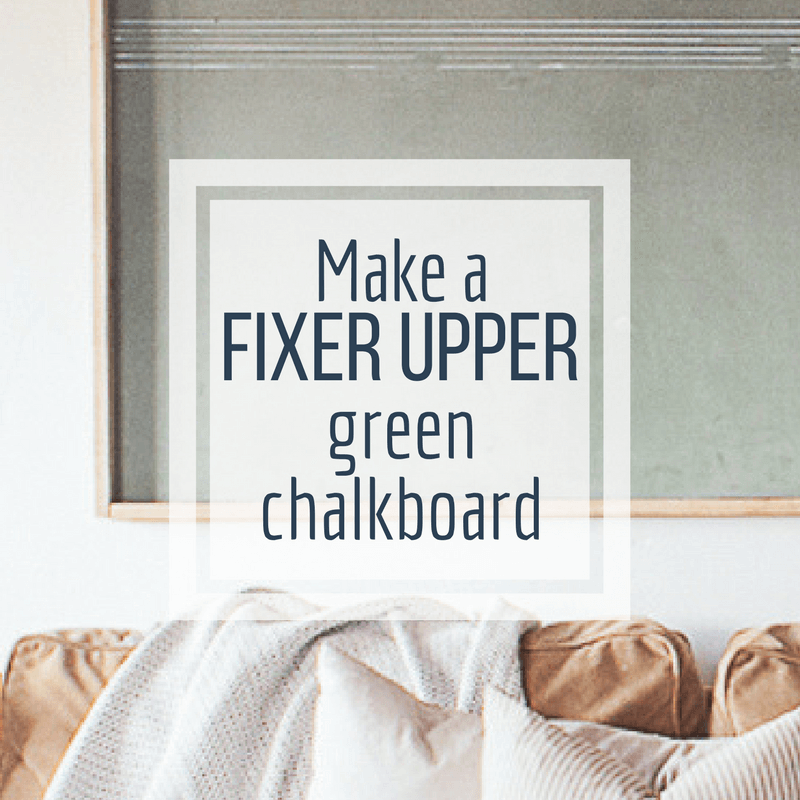 I love this fixer upper style vintage green chalkboard. It is the perfect amount of color to add to this room. The lines I drew on it add just a touch of interest and in my opinion that is all you need. 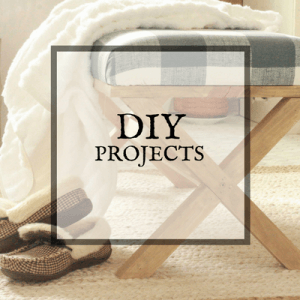 Want to make one of your own? Make sure to save it for later! And I would love it if you shared it with your friends! What a great project, Sara! I love the color of green that you came up with.